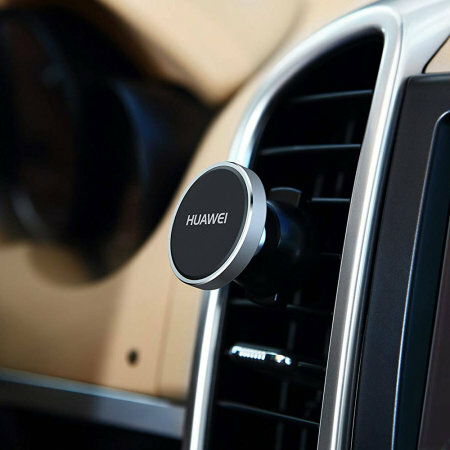 Mount your smartphone easily on your car's vents via the power of magnets with the Official Huawei Magnetic Air Vent Mount. 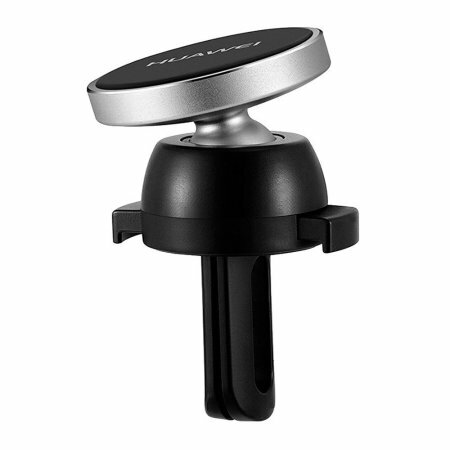 This universal magnetic car mount even works with many cases, allowing you to keep your phone protected while you drive. 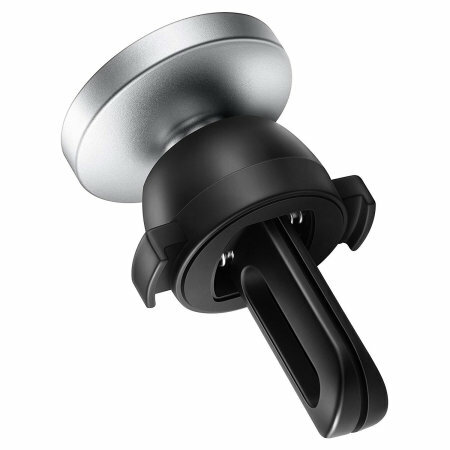 The Huawei Magnetic Air Vent Mount features a double clip, allowing you to mount onto vertical and horizontal vent blades. This simple, yet highly functional design works by slotting onto one of your vent blades, thus removing the need for any suction cups, adhesives or special cases - which can be tiresome to fit and cause damage to your car's interior. 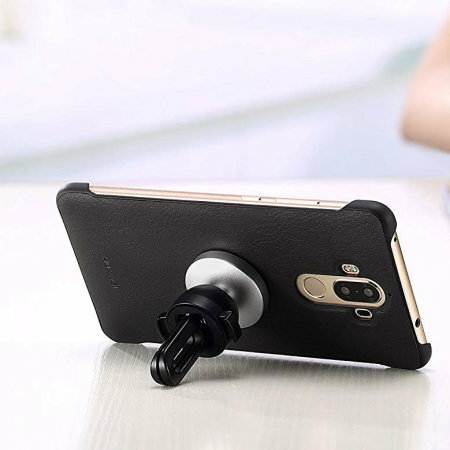 The Huawei Magnetic Air Vent Holder's cradle-free design allows for complete universal compatibility. 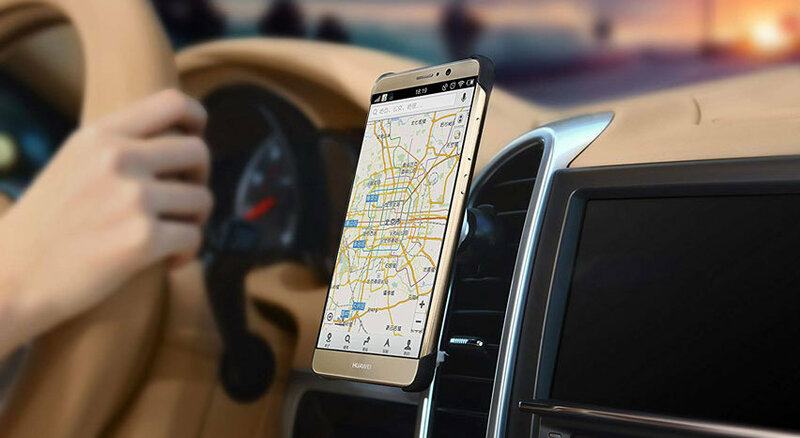 This allows any smartphone, no matter how big or small, to work with this car holder. So, even if you upgrade or have multiple phones, you can dock effortlessly without the need to adjust the car holder itself every time. The simple design means attaching and removing your phone is a very quick and easy process. The Huawei Universal Magentic Air Vent Mount has been designed so that with just one hand you can easily attach and remove your phone. Within a second, you can be ready to drive or get out of your car. The Magnetic Air Vent Mount's design not only allows for quick and hassle-free docking, it also allows you to leave your case on. Providing you have a slim case attached to your phone, you will still be able to dock your phone. 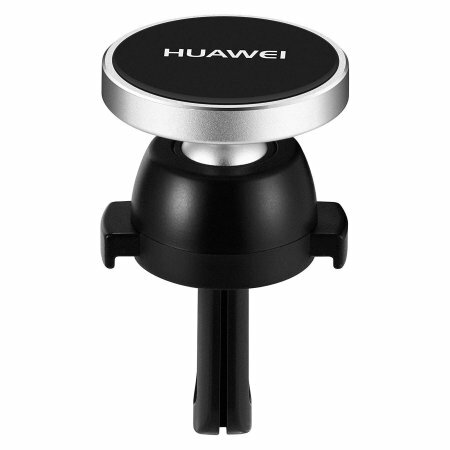 With the Huawei Vent Mount's strong magnetic attraction holding your device in place, as well as a smooth ball joint, you can position your device at any angle you find comfortable. 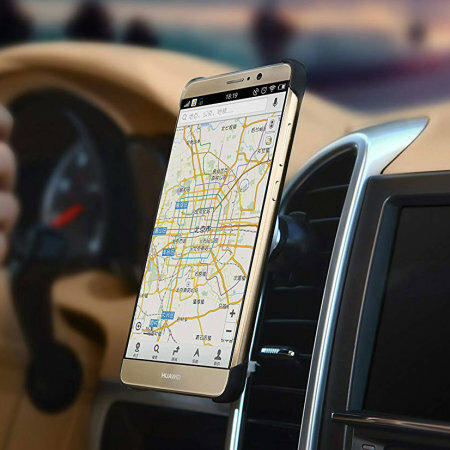 Due to the Huawei Air Vent Car Holder's compact and lightweight design it can also be used as a desk stand and used in various locations, either at home, in the office or in the car. 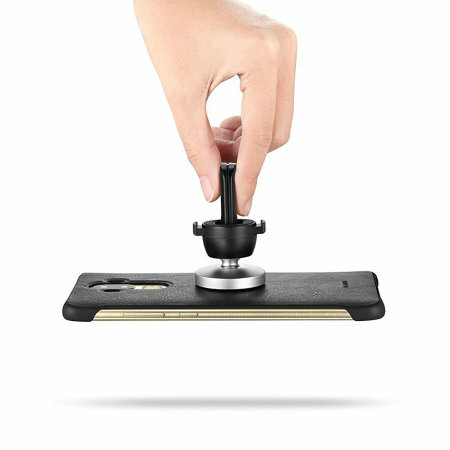 Two slim, low-profile metal plates are provided with the Huawei Magnetic Air Vent Mount allowing you to either stick the metal plate directly onto the back of your case or phone. Alternatively, you can place the plate in between a 2-piece case.